1.Cucumbers contain most of the vitamins you need every day, just one cucumber contains Vitamin B1, Vitamin B2, Vitamin B3, Vitamin B5, Vitamin B6, Folic Acid, Vitamin C, Calcium, Iron, Magnesium, Phosphorus, Potassium and Zinc. 4. Want to avoid a hangover or prevent a terrible headache? Eat a few cucumber slices before going to bed and wake up refreshed and headache free. Cucumbers contain enough sugar, B vitamins and electrolytes to replenish essential nutrients the body lost, keeping everything in equilibrium, avoiding both a hangover and headache!! 5. Looking to fight off that afternoon or evening snacking binge? Cucumbers have been used for centuries and often used by European trappers, traders and explores for quick meals to thwart off starvation.Stressed out and don't have time for massage, facial or visit to the spa? Cut up an entire cucumber and place it in a boiling pot of water, the chemicals and nutrients from the cucumber will react with the boiling water and be released in the steam, creating a soothing, relaxing aroma that has been shown the reduce stress in new mothers and college students during final exams. also works great on crayons and markers that the kids have used to decorate the walls!! Seeds are the most nutritionally complete foods known, containing every food element required for the creation & generation of new life, with life giving bio-electricity for cellular health. Common Salt is a Poison Common salt is a deadly poison. The only difference between this and other commonly known poisons is that one has to administer rather large quantities to kill with it. One or two teaspoonfuls of salt would not kill an adult but can easily kill a 6 month old baby. Come to think of it, even an adult can be killed with common salt. Only he would have to be fed larger quantities. About 40 teaspoons of common salt would kill an adult human being too. Don’t think that just because the FDA deems salt as safe, that it is…they are the organization who tell us that pharmaceutical drugs which have killed many people are safe as well! If you are going to use salt, use only natural, unprocessed forms, such as Himalayan salt, or pure sea salt, unrefined in any way. FDA Considering Safety of Salt Because of its negative health impacts, salt should no longer be considered safe, and it’s generally recognized as safe (GRAS) status should be revoked, according to a petition by advocacy group Center for Science in the Public Interest (CSPI) filed with the U.S. Food and Drug Administration (FDA). The FDA has scheduled a hearing in response, where they will discuss revising their salt regulations, along with the implications of doing so. Eating too much sodium has been linked to high blood pressure and heart disease. More than three-quarters of the salt in the average American diet comes from processed foods. 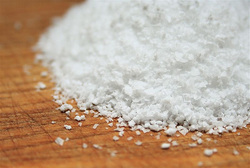 CSPI has petitioned the FDA about its salt regulations in the past, as well. In 1978 they asked for limits for sodium in processed foods, and in 1981 they suggested adding warning labels on packages of salt that weighed more than half an ounce. Both petitions were denied. At the FDA’s hearing, scheduled for November 29, 2007, policies regarding salt and sodium will be discussed, and comments on current and potential future approaches will be taken. Beware of the Toxicity of Soy Products Hundreds of epidemiological, clinical and laboratory studies link soy to malnutrition, digestive distress, thyroid dysfunction, cognitive decline, reproductive disorders, cognitive, immune system breakdown, and even heart disease and cancer. Contrary to popular belief that soy is a health food, evidence reveals that soy consumption has been linked to numerous disorders, including infertility, increased cancer and infantile leukemia, Type1 diabetes, and precocious puberty in children have been fed soy formula. (early maturation, such as breast development and menstruation as early as 6 years of age). Scientists have known for years that the isoflavones in soy products can depress thyroid function and cause goiters in otherwise healthy children and adults. A combined research team of Cornell University Medical College and Long Island Community Hospital medical experts have found that children who develop Type1 diabetes are twice as likely to have been fed soy formulas as those fed all other foods This confirms concerns based on animal studies raised in the 1980′s and 1990s by Health Canada researcher Dr Fraser Scott and led to the American Academy of Pediatrics issuing their warning to pediatricians against any use of soy based formulas. Researchers at Cornell University Medical College said that children who got soy formula were more likely to develop thyroid disease and that twice as many diabetic children had received soy formula in infancy as compared to non-diabetic children. In fact, in other countries such as Switzerland , England , Australia and New Zealand , public health officials recommend highly restricted medically monitored use of soy for babies and for pregnant women. “While even in 1966 there was considerable research on the harmful substances within soybeans, you’ll be hard pressed to find articles today that claim soy is anything short of a miracle-food. As soy gains more and more popularity through industry advertising, we are moved once again to raise our voice of concern. Soybeans in fact contain a large number of dangerous substances. One among them is phytic acid, also called phytates. This organic acid is present in the bran or hulls of all seeds and legumes, but none have the high level of phytates that soybeans do. These acids block the bodyís uptake of essential minerals like calcium, magnesium, iron and especially zinc. Adding to the high-phytate problem, soybeans are very resistant to phytate reducing techniques, such as long, slow cooking. Soybeans also contain potent enzyme inhibitors. These inhibitors block uptake of trypsin and other enzymes that the body needs for protein digestion. Normal cooking does not deactivate these harmful “antinutrients,” that can cause serious gastric distress, reduced protein digestion and can lead to chronic deficiencies in amino acid uptake. Beyond these, soybeans also contain hemagglutinin, a clot promoting substance that causes red blood cells to clump together. These clustered blood cells are unable to properly absorb oxygen for distribution to the body’s tissues, and cannot help in maintaining good cardiac health. Hemagglutinin and trypsin inhibitors are both “growth depressant” substances. Although the act of fermenting soybeans does deactivate both trypsin inhibitors and hemagglutinin, precipitation and cooking do not. Even though these enzyme inhibitors are reduced in levels within precipitated soy products like tofu, they are not altogether eliminated. Only after a long period of fermentation (as in the creation of miso or tempeh) are the phytate and “antinutrient” levels of soybeans reduced, making their nourishment available to the human digestive system. The high levels of harmful substances remaining in precipitated soy products leave their nutritional value questionable at best, and in the least, potentially harmful.” Brandon Finucan & Charlotte Gerson. In our society, breast-feeding mothers often consume more dairy products than usual, thinking they are doing themselves and their babies good. Sadly, though, they aren’t. Breastfed babies can get colic and other symptoms of cow’s milk allergies if the mother consumes dairy products. The dairy proteins pass into the mother’s breast milk, make their way into the baby’s intestine and blood, and may result in persistent crying, fussing, and many other expressions of allergic reactions. In fact if you feed a newborn calf the processed cow's milk formulas or the milk you purchase at the grocery store that they recommend you give to infants around the world the calf will die. The pH miracle diet attempts to control many different conditions in the body, including obesity, through the omission of acidifying foods and behaviors. One of the most surprising inclusions on the list, at least to Westerners, is milk. Dairy products, although a mainstay of the Western diet, are not included in the diets of most of the populations around the world. So what does the rest of the world know that we don’t? Dairy is not necessary for health; from a pH perspective, it is actually harmful to the body. Many people believe that dairy and milk are essential for bone density and for overall health. However, dairy products have large amounts of protein and fat, which are both acid forming elements. Cow’s milk and products made from cow’s milk produce acid. Goat and sheep milk and cheeses, which have less fat and protein, produce less acid. The only dairy exception is clarified butter that is alkalizing due to the short chain fats within it. In 2003, the Harvard School of Public Health released an alternative pyramid to the FDA recommendations based on imbalances that the members saw in the original pyramid. Although it did not mention acid and alkaline foods specifically, the pyramid shows a tendency toward alkaline foods. One of the most striking differences between the FDA pyramid and the Harvard pyramid is the inclusion of a dairy serving or calcium supplement 1 time daily. The FDA recommends 2 to 3 servings per day, in addition to dietary supplements. Dr. Meir Stampfer, a professor in the departments of Epidemiology and Nutrition and the Chair of the Department of Epidemiology at the Harvard School of Public Health, points out in an explanation of the Harvard pyramid that Americans should be eating less dairy products. The body needs calcium, but not at the levels present in the two to three servings recommended by the FDA. Calcium is necessary for normal bone development and maintenance; yet the average adult can get enough calcium from a supplement. The levels of calcium present in 2 to 3 servings of dairy per day can actually be harmful to health. Excess calcium intake may increase the risk for certain cancers and there have been no links between massive amounts of calcium and osteoporosis prevention. In addition, dairy is far from being a pure food. The dairy industry has worked hard to proliferate the image of cow’s milk being essential and harmless. Consider, however, that fifty years ago the average cow produces 2,000 pounds of milk per year and today cows average 50,000 pounds per year. Drugs, antibiotics, hormones, specialized breeding and forced feeding all up milk production so dairy farmers can produce in mass quantities. All of these additives are part of the milk that people drink everyday. A growing number of Americans, including those who follow the pH miracle diet, are eliminating dairy from their diet and having fantastic results. In recent studies, milk has been linked to intestinal colic, intestinal irritation, anemia and allergic reactions in infants and children. In children, the main problems were allergy, ear and tonsil infection, asthma, colic and childhood diabetes. The studies showed that adults suffered from heart disease, arthritis, allergy and sinusitis as a result of conventionally produced milk. Just a quick search on the dangers of dairy can really open your eyes about this “safe” food. Reading the research and seeing the acidic effects of milk and other dairy products make it clear why it is excluded on the pH miracle diet. Many researchers and health advocates agree that cow’s milk is simply not designed for anyone but a cow! All of the nutrients which we need can be gained from a diet of whole foods without the use of dairy-based products. That we need to consume dairy products to obtain calcium is a myth endorsed by the Dairy Council and uneducated individuals. We can simply use our own common sense in determining what is best for our bodies. Just look at how many people have adverse reactions to dairy and the industry which has been created to deal with the side effects of milk-based products, not to mention many other processed foods which are difficult to digest and assimilate. Why would something which is supposedly good for us, have an entire shelf in the drug store dedicated to products which will help us digest it, or deal with it’s side effects! Please note – soy isn’t necessarily a healthful replacement for dairy, as some have been misled to believe. Please see the information on the hazards of soy on this website. The consumption of modern dairy products has been found by researchers to be a leading cause of arteriosclerosis, heart attacks and strokes. The highest death rate from heart disease in the world is found in Finland, a country with one of the very highest rates of dairy product consumption. Compared to people in the US, the Finnish people consume one and a half times as many dairy products, and die one and a half times as often from heart disease. The higher fat forms of dairy products have been implicated as the culprit in contributing heavily to heart attacks, strokes, and arteriosclerosis. The higher fat dairy products are also those most likely to contain unsafe levels of environmental contaminants including pesticide residues and dangerous radioactive substances. Dairy products are high on the food chain, and dairy fats tend to collect very high concentrations of these pollutants. Of all the foods available to Americans, full-fat dairy products such as whole mile and cheese rank with fish as carriers of the highest levels of dangerous environmental contaminants. What about low-fat dairy products? Low-fat dairy products are higher in protein. Many people mistakenly assume this to be a health advantage. But as a result of their higher protein concentrations, low and especially non-fat dairy products make an even greater contribution to osteoporosis, kidney problems, and some forms of cancer than do their higher-fat counterparts. Modern Western dairy products are the leading cause of food allergies, and the lower-fat versions are actually more allergenic than those higher in fat. It is the proteins in dairy products that induce allergic reactions in humans. The list of the most common symptoms of dairy allergens is a long one, as are the benefits often obtained by sensitive people who remove dairy products from their diets. Many studies have shown allergies to dairy products to cause irritability, restlessness, hyperactivity, muscle pain, mental depression, abdominal pain, cramps, bloating, gas, diarrhea, bad breath, headaches, lack of energy, constipation, poor appetite, malabsorption, nasal stuffiness, runny nose, sinusitis, asthma, shortness of breath, rashes, eczema and hives. Scientific literature contains numerous accounts of dramatic improvement, not just for the above problems, but also in cases of ulcerative colitis, obesity, enlarged tonsils and adenoids, and iron deficiency anemia occurring with the removal of dairy products. What about Calcium and Iron? The dairy council distributes an attractive booklet free of charge to hospitals and schools throughout the country. Titled “Is it safe to be a vegetarian?”, the booklet provides a remarkably self-serving answer. The booklet says yes, it is safe-so long as you substitute more cheese, yogurt and milk for the “missing” meat. In fact, what the Dairy Council is suggesting is likely to cause food allergies and is an open invitation to iron-deficiency anemia. If you consume too many dairy products, be they in the form of skim mild, whole mile, cheese, yogurt, butter, ice cream, or whatever, there is a very real possibility of iron deficiency. Cow’s milk is so low in iron that you’d have to drink many gallons to get the iron available from a single serving of any dark green, leafy vegetable! Not only do dairy products provide no iron, they also block it’s absorption. Breastfed babies, for example, have a much higher rate of iron absorption than those fed cow’s milk formulas, even if they are especially fortified with extra iron. For years caring parents have been lead to believe that formula is a suitable substitute for breast milk. In fact, there was a campaign once upon a time that touted formula as being BETTER than breast milk. A conception that formula fed babies came from wealthy and “well-to-do” families also arose, thus making it a status symbol amongst society. But are any of these claims actually correct? The fact of the matter is that formula lacks much of what breast milk provides a thriving infant. Many studies have indicated that formula doubles (if not quadruples, in some instances) the chance of infant death in America. Not only is formula not tailored to your baby’s needs, but it lacks one key element that breast milk has: antibodies. When babies are brought into this world, they have an immature, underdeveloped immune system. During natural child birth (and to a far lesser extent during premature births and c-sections) antibodies are passed from the mother, to the placenta and to the baby, providing some protection when he or she is first born. But the bulk of the immune-boosting antibodies that a baby receives are directly from his or her mother’s milk. The results of compiled studies are astounding. For instance, babies that are formula fed have 5 times the chance of dying from SIDS than those babies that were breastfed. German infants were even more at risk, being 7.7 times more likely to die from SIDS when fed formula. Breastfeeding vs. Formula Another interesting fact were the results in regards to inadequate oxygenation and apnea, both of which affected only those babies who were formula-fed (for breastfed babies, both issues were found to be virtually non-existent). It is suspected that, due to lack of oxygenation, formula may play a key role in infants developing congenital heart disease. Necrotizing enterocolitis was another frightening statistic I came upon. Necrotizing enterocolitis is described as a severe inflammation of the intestines which kills up to one-third of low birth-weight infants and one-fifth of full term babies who have the condition. Though it is true that breastfed babies can also suffer from this deadly disorder, formula fed babies are up to ten times more likely to suffer from it. Thanks to money-hungry corporations and ingenious marketing it has some how become the “norm” for parents to feed their defenseless infants mass-produced formula. It is important for parents to remember that formula was initially created to be used in hospitals for children that could not receive their mother’s breast milk and that it is not to be considered an adequate substitute for most children. Formula is not tailored for your child’s specific needs and requirements, and is no match for your own body’s milk, regardless of what formulations these companies come up with. Your breast milk contains the best protection from the outside environment that your baby needs and offers the greatest first start to your child’s long life.